Eaglerays are common in estuaries where they make distinctive “footprints” on the sand when they have been digging feeding holes. 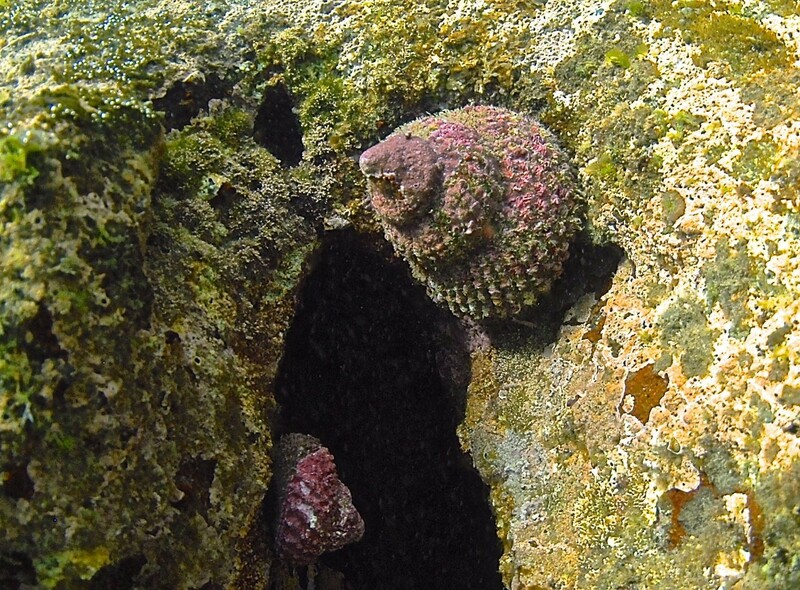 They are also common on rocky reefs where they have a completely different feeding strategy. 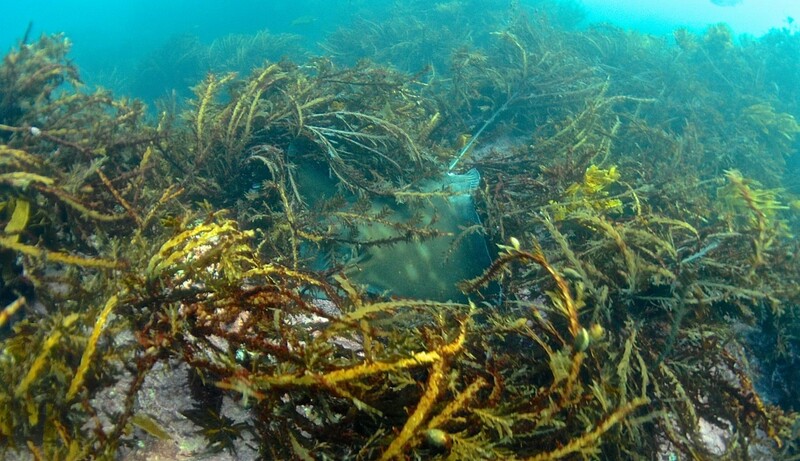 Recently I was snorkeling at Tawharanui Marine Reserve with the Auckland University Underwater Club, when I came across an eagleray amongst the swaying fronds of the shallow mixed weed Carpophyllum bed. 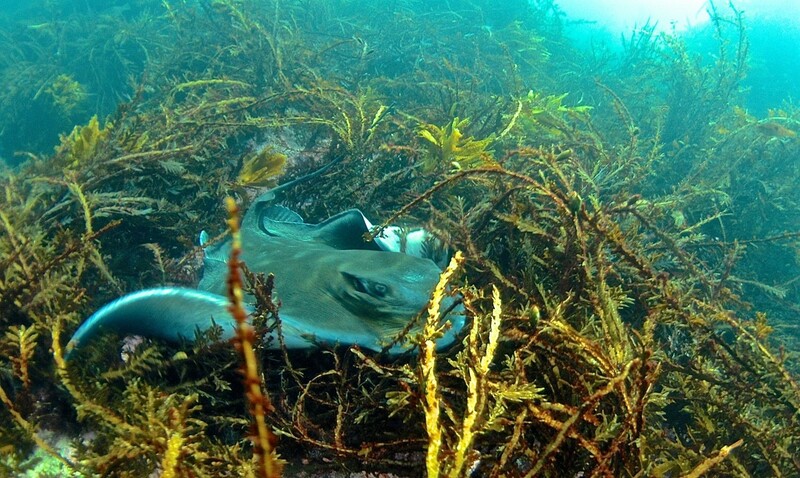 The ray was almost obscured, rummaging around under the kelp canopy. Suddenly there was a very loud “CRACK!” and I realized straight away what the ray was doing. She had found a Cook’s turban shell and had crunched the shell to get at the delicate flesh inside. Eaglerays have very powerful vice-like jaws and have no difficulty breaking the strong shells of the Cook’s turban shell, which must be like ice-cream to the rays. 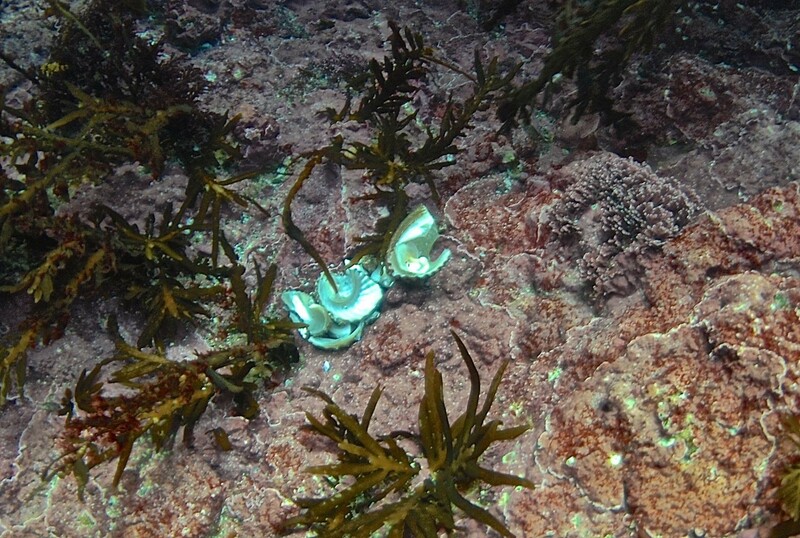 The ray bumbled around on the spot for half a minute or so while it sorted out the shell pieces from the yummy soft parts, then lifted off the bottom, did a U-turn in front of me, and disappeared over the kelp horizon. I checked the spot where she had been feeding and there was a neat pile of bits of broken pearly shell of the large snail. Cook’s turban shells are the largest grazing snail in the shallow mixed weed zone, and are also often found in kina barrens. Just as well it wasn,t your skull Grace.